This is a no brainer, need I say more, only the best view in Cape Town. You can purchase a glass of bubbly at the Table Mountain Cafe. Fine wines and beers also available. This is a very romantic date, we celebrated our anniversary on top of Table Mountain last year with the sunset special. Set sail from the V&A Waterfront on a Sunset Cruise and enjoy a glass of bubbles on the ocean while admiring the Cape Town skyline and the stunning view of Table Mountain. There are various yachts to choose from to suit your preference. The Leopard Bar is the perfect spot to end the day watching the sun go down over the Atlantic Ocean with breathtaking views while enjoying a classic or modern cocktail and listening to live music in a sophisticated environment. A fine selection of cognacs and an impressive collection of ports are available. 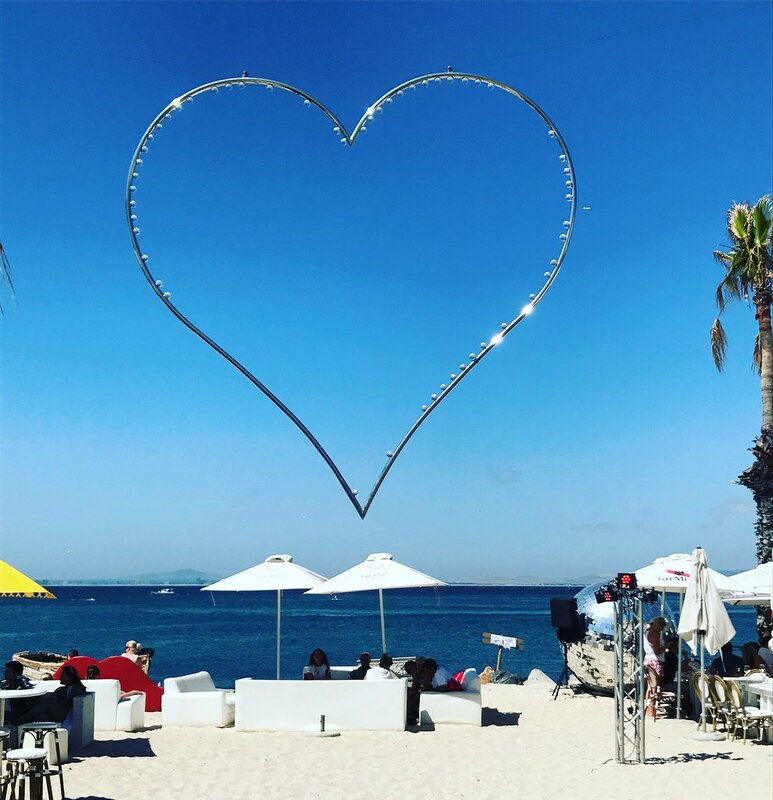 Located on a private beach in Granger Bay with quirky details like a giant disco ball in the sand and a revamped warehouse this laidback venue offers chic, stylish elegance in an idealistic setting. It is a superb spot to enjoy a summer sunset cocktail with your feet in the sand and beautiful ocean views over Granger Bay. 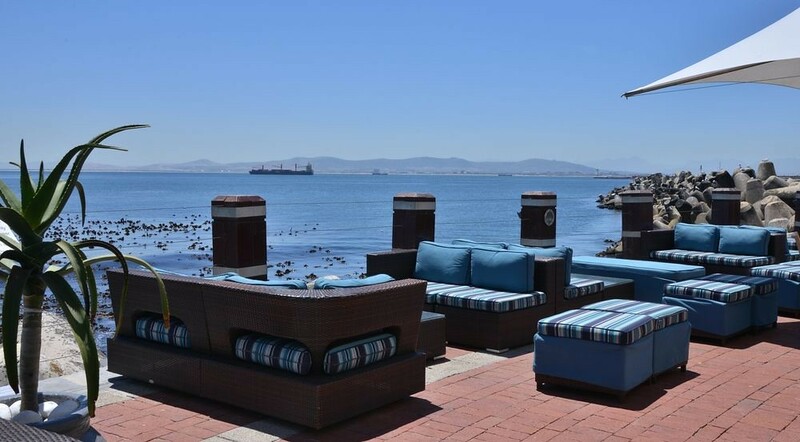 This exclusive stylish Beach Club is the ultimate destination to enjoy a summer sunset cocktail serving a mix of classics and speciality cocktails with ocean views located in the Cape Town harbour. An old favourite and the perfect setting to take in the sunset while sipping a summer sunset cocktail and enjoying the sea breeze and salt air with magnificent Atlantic ocean views, Tobago’s Bar and Terrace is an idealistic sunset spot with a great selection of classic cocktails. This glittery bar with its twinkling ceiling and planetary chandelier offers chic elegance in which to enjoy a fabulous cocktail. Planet Bar offers an extensive range of out of this world cocktails, champagnes and wines and an assortment of light canapés. Enjoy sundowners on the sweeping lawns while the sun sets over the Atlantic Ocean with views of the glorious Twelve Apostles. The drinks menu consists of a selection of wines, South African and French bubbly, basic cocktails and over 20 local craft beers. If you are feeling pecking the pizza’s are absolutely delicious! There is also a selection of tapas and desserts on the sundowner menu. Located in scenic Constantia this stylish outdoor bar overlooks manicured lawns, a cascading pool and water features. There is a massive oak tree with fairy lights giving a magical feel at night time. They have a comprehensive cocktail list and offer tasty nibbles. Chic décor adds to the trendy ambience. The exquisite, stylish boutique winery Peter Falke Wines in Stellenbosch, nestled against the majestic slopes of the Helderberg Mountains is the perfect picturesque setting to enjoy summer sundowners. Outstanding wines, delicious cheese and charcuterie platters and beautiful mountain views make this a perfect choice for sunset sundowners.